Grossular Garnet is healing of all limitations on the physical level, in health or wealth. 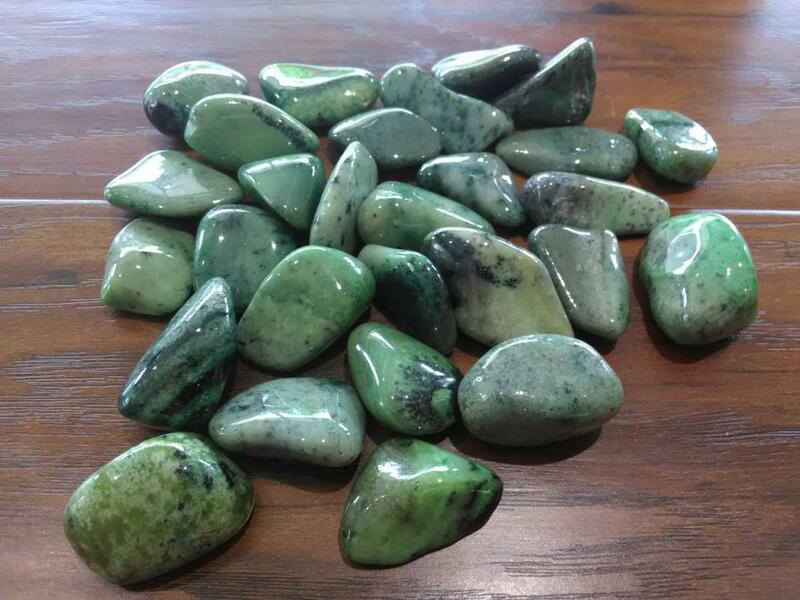 Green Garnet carries an especially regenerative energy, and is excellent for those who’ve had money problems and wish to reform. As a stone of strength, Grossular Garnet will benefit new business ventures, promoting growth and warm client contact. It strengthens stability in lawsuits and challenges. Garnet enhances relaxation and going with the flow, and inspires service and cooperation. It also injects some romance and fun into an over-practical life, boosting passion and energy in a love weighed down by worry. Size Range: 3/4" - 1 1/2"